Cape Town and its surrounds are home to some of the world's most renowned wine regions and boast a multitude of internationally acclaimed wines. Here are a few of our favourite vineyards that are definitely worth exploring whilst you stay with us at Cape View Clifton. Incredible mountain views, lush gardens and expansive vineyards provide the perfect backdrop to Delaire Graff’s amazing restaurants and state-of-the-art winery. Their wine offering includes Chardonnay and Chenin Blanc, and an award-winning Semillon/Sauvignon Blanc blend. Along with a Cabernet Franc rosé, sparkling wine and an array of classic, award-winning reds too. 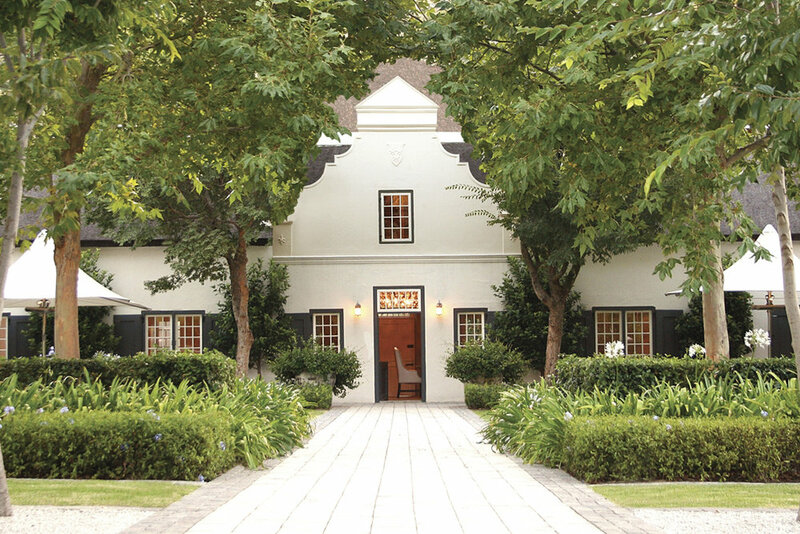 Situated in the beautiful Franschhoek Valley, La Motte is home to a host of internationally-acclaimed wines and a fine dining restaurant that celebrates traditional cuisine with a modern twist and offers an incredible high tea. To top it all off, it is set in a picturesque setting with loads of historic charm. Another Franschhoek favourite, Grand Provence is a 300 year-old heritage wine estate situated in the heart of the valley. You can expect classic Cape Dutch architecture; expansive views of the vineyards and mountains beyond; a rich offering of wine varietals to taste, and a restaurant that celebrates the estate’s French heritage. Haute Cabrière is steeped in history, with the farm dating back to 1694. Enjoy a wine tasting in the tasting room overlooking the Franschhoek Valley or dine in the restaurant, which is nestled inside a stone cellar. At the centre of the Cape Winelands in Stellenbosch lies the Simonsberg mountain and on its southern slopes, you will find Tokara’s vineyards, olive groves and their magnificent tasting room that boasts views over False Bay to Table Mountain. They are celebrated for their Cabernet Sauvignon and Sauvignon Blanc so make sure to taste these when you visit. Your stay with us includes your own personal concierge, on hand to plan your adventures – making sure your visit to the Mother City is a memorable one. To book your stay with us at Cape View Clifton, please give us a call on +27 11 568 0384 or email us at reservations@rareearth.co.za.